Translates geom by the vector (x, y) or (x, y, z). Cannot translate geometries of mixed dimension. 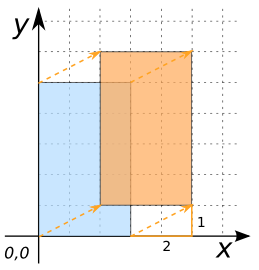 LINESTRING(0 0, 1 0 0) cannot be translated because its second coordinate has a z-value while its first coordinate does not.